Says 211 – Inflammation – A medical mystery – Why? After my month off to let my Body heal, I began to notice a difference in my Body, although I still had all the aches and pains. My insurance covered my Chiropractic treatments until 2016 June, but my Massage treatments were denied and cut off in March. I felt I needed massage to continue my healing process, so I paid for them personally until June, when the Chiro treatments ended. I then decided to take the summer off, dealing with my physical issues as best I could. By the end of August, I realized that I was at a standstill. The five months of physio and 18 months of chiro and massage had not helped me get back to the normal pain free life I had before the accident. Even though I had given my Body a month to heal, that wasn’t enough. 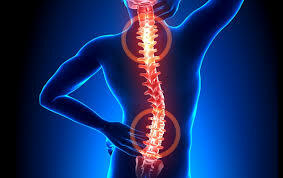 In hindsight, I felt that the aggressive Physio and massage treatments, and my own ignorance in believing and doing what the so-called medical professionals were saying had contributed to my injuries, not healed them, as I still had inflammation and pain. I decided that I needed to find what I was missing and to try something new. It wasn’t until a couple of weeks ago that I realized that the so-called medical profession simplifies and puts down inflammation as if it’s a side-effect and nuisance, something to get rid of, yet it’s a KEY factor in the Bodies attempt and ability to heal itself. 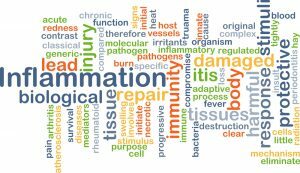 While “they” are aware of the presence of inflammation, they haven’t a clue as to what causes the Body to respond and create inflammation, other than it’s related to some other disease or injury that they are also are ignorant to its cause and its natural healing process. And there is this medical doublespeak definition of Inflammation. This entry was posted in Uncategorized and tagged Body, chiropractor, inflamation, massage, social insurance by johnrieger. Bookmark the permalink.